If you’re an animal lover, fair warning, because this story is about to break your heart. What should have been just a short, routine stop at the supermarket turned tragic yesterday when someone tried to cut corners when going inside: Sadly, all of the animals in the San Diego Zoo have died after the zoo left them in a hot car. Wow. This is utterly heartbreaking. 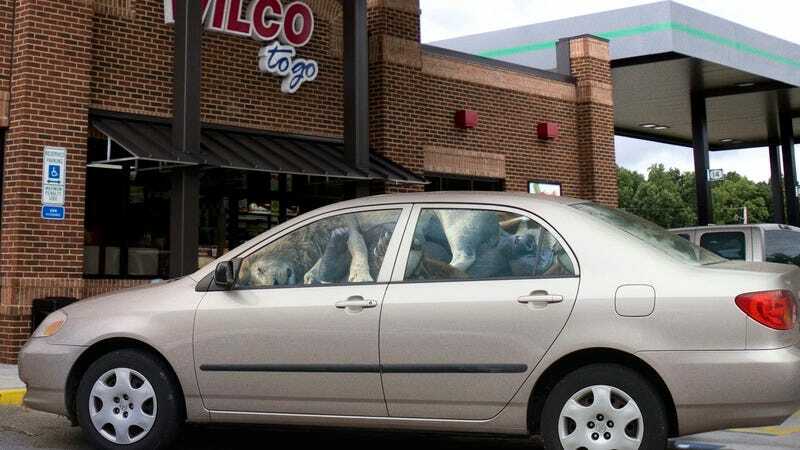 According to witnesses, a zookeeper from the San Diego Zoo reportedly pulled into a Safeway parking lot early yesterday morning, parked his car, and left every single animal from the zoo’s 600 species trapped in the backseat while he ran inside the store. While the man had apparently intended the trip to be a quick one, he unfortunately returned half an hour later to find that the record-high 97 degree weather and the lack of AC had turned his Nissan Altima into a virtual oven and had cooked the animals to death. Although a good Samaritan who’d noticed claw and tentacle marks against the fogged windows managed to smash one window open and remove four Indian crested porcupines, two piranhas, a lion-tailed macaque, an armful of naked mole rats, and a hippopotamus, none of them were able to be resuscitated. Ugh. This is so, so sad. Forgetting more than 3,500 animals in your car on a hot day is the worst nightmare of anyone who has dedicated their career to wildlife conservation. The San Diego Zoo must feel so racked with guilt right now. A tragedy this avoidable is going to leave a wound that’ll take a long time to heal. One thing’s for certain: The San Diego Zoo won’t let itself make a mistake like this again.